Six years and we’re still here, still adding photos, still adding new articles. The additional bandwidth of our current host has allowed our continued growth while maintaining reasonable page load times for our international users. Our editors and contributors will be busy adding more new articles in 2017 and we expect to continue improving the server and backend software as well. And thanks to generous donations from people like you, Camera-Wiki.org still has zero ads. But, the bigger we get, the more expensive it is to pay for all this. So, if you find Camera-Wiki.org useful, please consider making a donation so we can keep up the work of documenting all the world’s cameras and lenses. And we’re also always on the look out for volunteers to help with the site content. If you know how to use MediaWiki sites (like Wikipedia), you’ll feel right at home editing here because Camera-Wiki.org uses the same software. Ask an existing editor on our Flickr group if you’d like to have an account on the wiki. 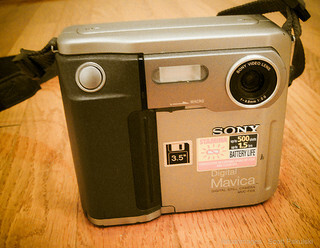 Or if you have photos of old camera or lenses, please post them to flickr and add them to the Camera-Wiki.org Flickr group so we can include them in articles. Where does the time go? Seems like only yesterday we were celebrating the third anniversary of our launch! We have a great birthday gift for our users this year. We’ve moved our hosting away from Dreamhost. While Dreamhost provided acceptable service at a super low cost when we launched, we’ve outgrown it as our user base and bandwidth requirements increased. Our international users were seeing frequent outages and long page-loading times. Those problems should be behind us now. There is still plenty of room to make further improvements but if you haven’t visited the site in a while, give it a try today and see what you think. Now, for the annual stats! Our editors have now created over 7,880 articles. 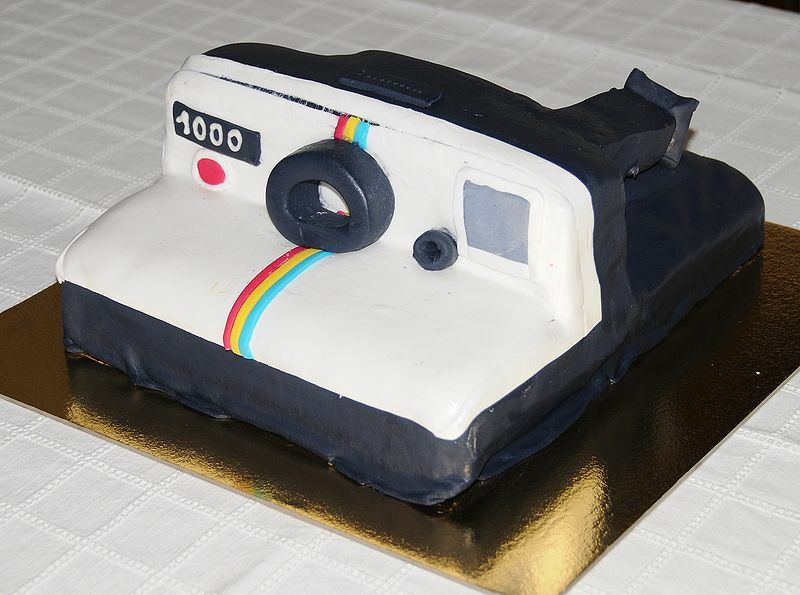 Our Camera-Wiki.org Flickr group has grown to almost 80,000 photos. Of course, there’s still lots of work left to do though. So many cameras and lenses are still completely undocumented. There are still websites here and there linking to the old camerapedia domain instead of camera-wiki.org. And we’re always in need of more help – so join us and help out! Login and become an editor, make a donation, contribute a photo, or help out in some other way. Do you have an Argus camera? 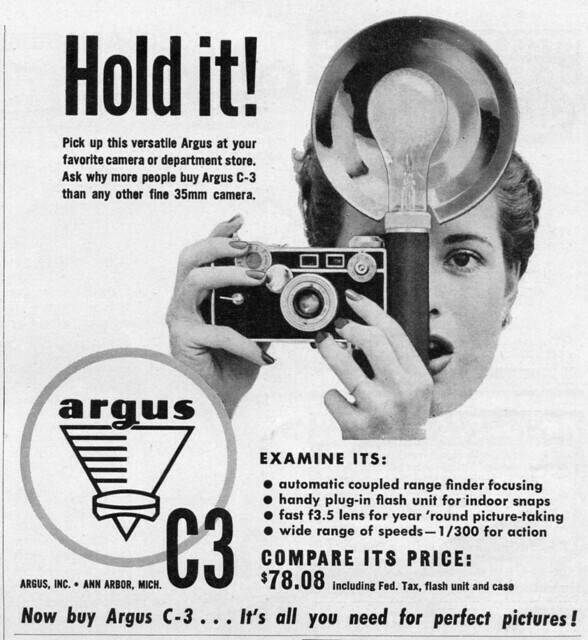 Maybe an Argus C3 aka “the brick”? Or the slightly more elegant Argus C-4 rangefinder? 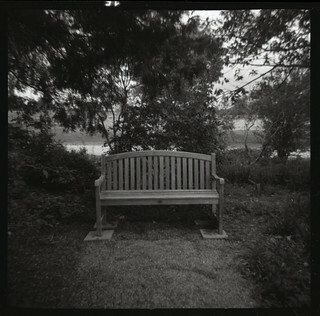 Maybe you prefer 120 film and use an Argoflex E TLR? Whatever your Argus of choice, it’s time to dust it off and load some film because Sunday, 12 August, 2012 is Argus Day! Argus was an American camera company founded in 1936 in Ann Arbor, Michigan. The company made some of the most well-known American-made cameras in history. The Argus C3 rangefinder was manufactured for 27 years and was one of the best selling 35mm cameras ever made. Back in 2001, James M. Surprenant, Marcy Merrill and other members of the Argus Collectors Group wanted to create a fun way to raise awareness of Argus cameras and encourage people to use them. They came up with the idea of a new camera holiday called Argus Day. It works like most other camera holidays; the idea is to get out and shoot a roll of film with any type of Argus camera. Afterwards you can scan the film and post them online. Some years the ACG holds a contest for the best photos. Even when there’s no contest, you’re welcome to post your results to the Flickr Argus Camera Group, so others can enjoy them. What is a little different about Argus Day compared to other camera holidays is that the date changes each year. There’s a simple mathematical formula to find the date on which Argus Day falls. Take the current year and subtract 2000 from it. Add the result to July 31 and you’ve got the date of this year’s Argus Day. For example, in 2012 we’d do it like this: 2012 – 2000 = 12. so add 12 to Jul 31 and get Aug 12. The calculated date is sometimes referred to as “Argust n” where “n” is the numerical value derived from the above formula. So, in 2012 the day is called “Argust 12” and falls on August 12, 2012. In 2040, the day will be “Argust 40” and fall on September 9, 2040). If you’re interested in Argus cameras and haven’t done so already, consider joining the Argus Collectors Group. And, of course, consider helping us out with the Argus camera articles here at Camera-Wiki.org! We also need more editors to improve our articles, more photos of cameras to use in articles, and donations to help keep the site online! Argus C-4 (left) and Argus C-44 (right). Photos by Flickr user Inspiredphotos, used with permission. Photo shot with Argus C3 on Argus Day 2010 using Ilford ISO 100 film. 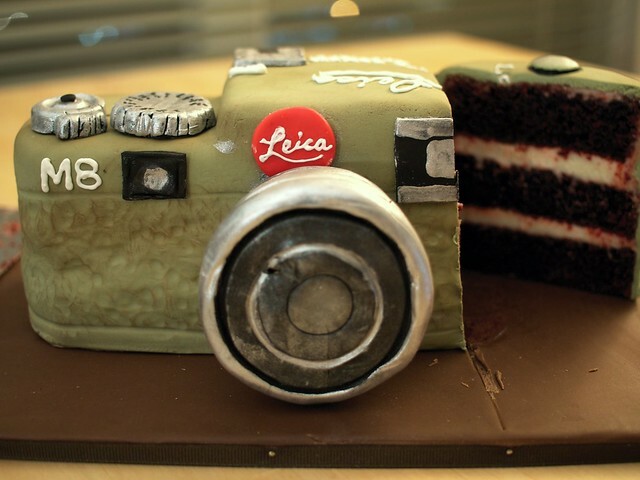 Every year on the 12th of July, photographers celebrate World 127 Day. They load 127 roll film into vintage 127 cameras, shoot photos, and post the results on the Flickr 127 film group. This year is different, however, because 127 film is 100 year old. Kodak introduced the 127 format in 1912 for their Vest Pocket Kodak. Since 1912 127 film has had its ups and downs. After losing some popularity to other formats, it experienced a revival in the 1950s with an explosion of new cameras. 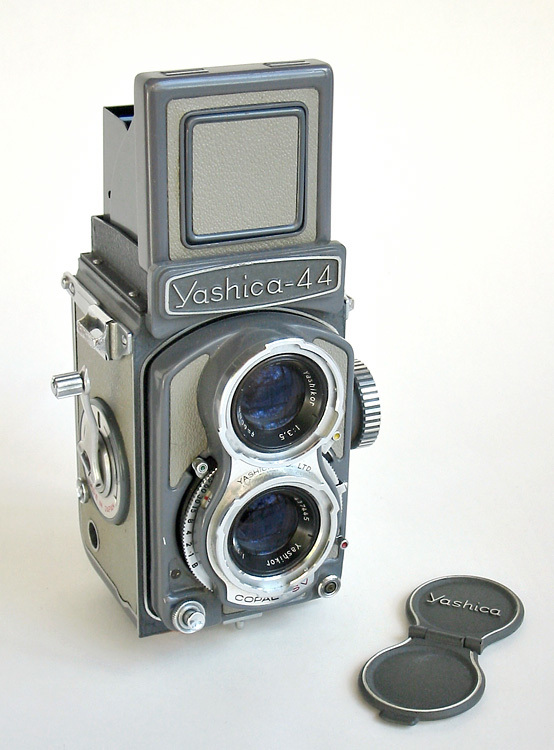 There were high quality Twin Lens Reflex (TLR) cameras like the beautiful Yashica 44 as well as host of strange plastic toy cameras like the Imperial Satellite 127. Popularity waned again in the 1960s as Instamatic cartridge formats like 126 and 110 took over the low end camera market. It looked like the end for 127 in the 1990s. 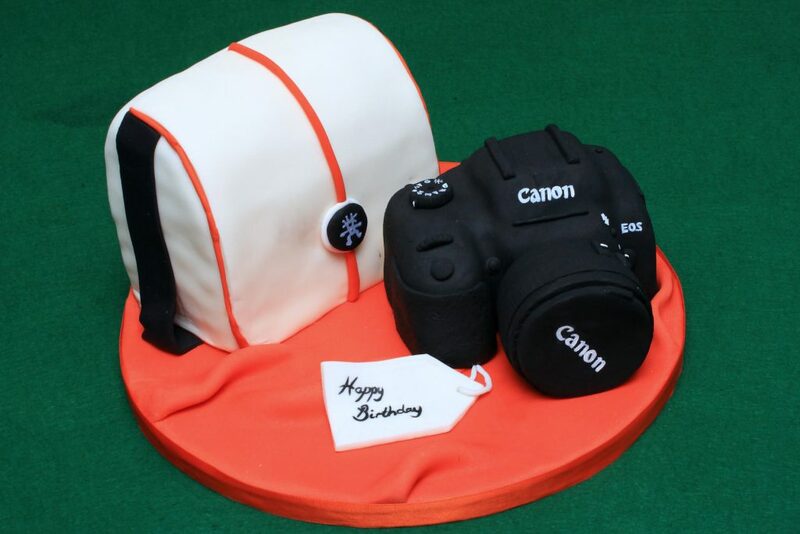 First, it was dropped from the ISO 732 Medium Format Standards document in 1991. Then Kodak announced the end of 127 film production. Most other major film manufacturers followed Kodak’s lead. Camera collectors persevered, continuing to shoot with expired films, cut down and respooled 120 film, or even 35mm films (for that nifty sprocket hole look). It was clear there was still a market for 127 film. Smaller companies noticed and are now offering products to fill the need. The most well known modern 127 film is, of course, Efke R100 black and white film, made by Fotokemika of Croatia. There’s also Bluefire Murano 127 color film offered by Bluefire Laboratories, in Canada. Rollei Retro is now offering black and white as well as redscale 127 film (rumor has it the Rollei films are made by Fotokemika and Agfa but I’ve not seen anything definitive on this). There are more 127 film choices today than there have been for years. Tony Kemplen (known as Pho-Tony on flickr) is celebrating the centenary of 127 film by shooting with as many different 127 cameras as he can during 2012. You can follow his progress on his blog, 127@100. Tony’s example should serve as an inspiration to all of us. Select your film of choice and load it into your favorite 127 camera. World 127 Day is here and it’s time to shoot! In my last Vivitar historical article, I told the story of Ponder & Best‘s re-invention of the zoom lens when they introduced the Vivitar Series 1 70-210mm f/3.5 Macro Zoom. 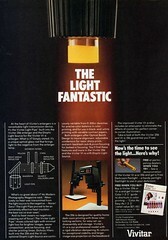 The company also successfully re-invented the flash with the Vivitar 283 and later the Vivitar 285, considered classic workhorses by strobe users for over a decade. In the 1970s Ponder & Best tried with less success to re-invent the enlarger. 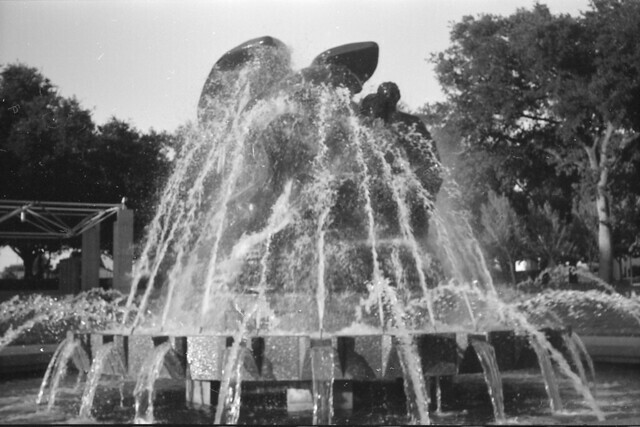 The pinnacle of this effort was the Vivitar 356 Dichroic Enlarger. 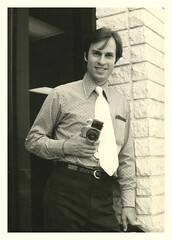 I started at Vivitar as a consumer relations correspondent in 1975 or ’76. I was eventually promoted to Marketing Communications Specialist. I left Vivitar to become Mgr. Marketing Communication at Kiron, a spin-off company led by ex-Vivitar execs Paul Ellis and Richard Wolfe. I was there for roughly two years, after which I made a radical career change: I became a sitcom writer. 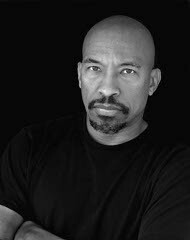 My show credits include Amen, Family Matters, and In Living Color. After tiring of the insecurity and absurdity of Hollywood, I made another career change. I’m now an instructional designer who specializes in web-based training for Fortune 500 clients. I have a photography blog (Shutterfinger) and a photography portfolio on Zenfolio. Gordon has been immensely helpful in several areas of my Vivitar research. Expect to see more from him in the future including more behind-the-scenes photos of Vivitar. 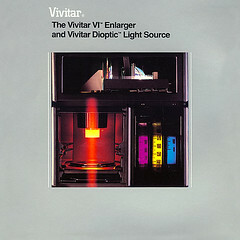 The second piece of the enlarger puzzle fell into place during an email exchange with Peter D’Arpix, who did the product photography for Vivitar’s TX lens brochures and shot the original product photos of the first VI Enlarger. Finally, I’d like to thank James Ollinger, who provided scans of several Vivitar enlarger ads and whose very complete website, Ollinger’s Guide to Enlargers was enormously helpful to me in filling in missing details of this story. Ponder & Best began selling enlarging lenses in the 1960s but these lenses were not well received. It’s not known who made these early Vivitar enlarging lenses but to this day they are considered far below average in quality. In entering the enlarger market, P&B faced two challenges; offering improved quality lenses and coming up with an enlarger that embodied the same kind of revolutionary technology improvements as the Series 1 lenses. 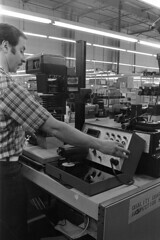 Around 1971, P&B introduced the E series enlargers. These included the E-32, E-33, E-34, E-36, E-54, and E-74. Four of these (the E-32, E-34, E-54, and E-74) included an innovation that replaced the usual rack-and-pinion column adjuster. With a typical enlarger, one moved the head up and down by slowly rotating a knob that turned a gear interlocked with a track on the enlarger column. 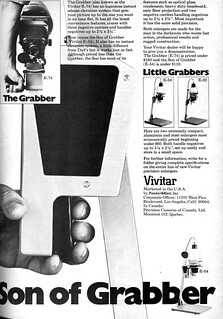 The E series introduced a large squeeze handle that Vivitar called a “grabber”. Squeezing the handle unlocked the head and allowed the user to lift or lower it to the desire position. Releasing the grabber locked the head into the new position. This resulted in the marketing company promoting grabber-based nicknames for each of the enlargers. The E-74 became known as “The Grabber”. The E-54 was called “Son of Grabber”. The E-34 and E-32 were called “Little Grabbers”. The E series enlargers received fairly good reviews in major photography magazines, earning points for rigidity, smooth movements, and evenness of lighting. The minor innovation of the grab-handle was not viewed as much of an improvement over traditional enlargers however and the E series as a whole were seen as little more than good quality, low-cost options for beginners. At the same time P&B began offering a new series of enlarging lenses made by a “well-known and respected Germany optical company”. Some say this was Rodenstock Photo Optics, maker of the Rodegon enlarging lenses. Others say it was Schneider Kreuznach, maker of the Componon enlarging lenses. The serial numbers for these lenses begin with 13xxx. Based on what’s known of Vivitar manufacturer serial numbers, this seems to support Schneider Kreuznach as the maker. As I recall, it was a Vivitar facility in Inglewood, CA. The Vivitar VI and 356 enlargers were assembled exclusively by Vivitar. They also assembled some sort of daylight darkroom contraption that looked sort of like a funnel-shaped box. The widest part of the funnel was the base. The narrow part had a color enlarger head. I’d be interested in hearing from anyone who has photos or more information on this strange-sounding daylight enlarger. Could this mystery device be the Vivitar Polaroid Slide Printer? One of the biggest problems with enlargers is heat build up in the negative from the light source. The light source of an enlarger of that era was a big, high-powered light bulb that generated huge amounts of heat. A lot of that heat was transferred to the negative and during a long exposure negatives could buckle, burn, or melt. Even if the heat wasn’t sufficient to damage the negative it could still cause it to “pop” – to suddenly flex in one direction or the other altering the focus. The traditional solution was to put filters in place to reduce IR transmission but heat transfer was still possible due to the proximity of the bulb and negative. Absolutely no heat was transmitted from light source to negative! None! Zero! 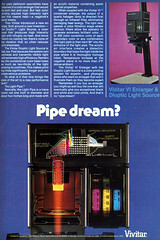 The light pipe proved to be an extremely effective heat insulator–the best we have ever seen. the Vivitar Dioptic Light Source performed beautifully. Exposures were fast, even with heavy filtration, and images were crisp and well saturated, indicating effective infra-red and ultraviolet filtration. The Vivitar 356 improved further on the VI by moving the integrated power supply to a separate unit, reducing the weight of the head. Vivitar took the enlarging lenses to the next level as well, releasing the Vivitar VHE enlarging lenses. Like their predecessors, these were 13xxx serial numbers lenses made in Germany, presumably by Scheider Kreuznach (though a persistent minority can still be found supporting Rodenstock as the maker). 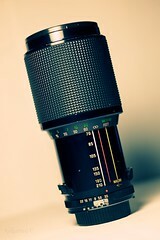 These lenses were comparable to the best quality German enlarging lenses. Some modern users claim the internal parts of the VHE lenses can be swapped directly with Schneider Kreuznach’s Componon lenses of the same vintage. The enlarger arrived from the studios of the TV ad production company, scuffed up and with one control knob missing as well as some screws. So I had to switch out screws and knobs as I turned the different faces to the camera. Such fun! I worked I think with Rusty Kay. This was before Photoshop, so the “light paths” were created with multiple exposures of the 4×5 undeveloped film in the camera with many tests! But all done eventually on one sheet of film. As they’d done with Vivitar’s TX Lens series, Peter and the Henchy/Kay team produced an excellent quality brochure to help market the new enlargers. 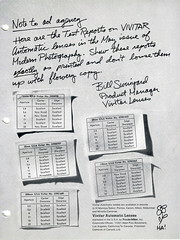 Vivitar also introduced full-page advertising in major photography magazines for both enlargers. Vivitar’s enlarger story doesn’t reach the same happy ending as the Series 1 lens and flash stories. It’s hard to say for sure why the enlargers weren’t more successful but Peter’s experience with the enlarger knobs foreshadows problems that would continue to plague the products. One contributing factor is no doubt the bad reputation of early Vivitar enlarging lenses. Despite the high quality of the Vivitar VHE lenses, they continue to be regarded as sub-standard by modern collectors based solely on the reputation of their predecessors. Another thing that hampered success was an innovation included in the VI and 356 enlargers; the negative carriers. Most enlargers use a negative carrier made from pieces of flat metal. They’re sturdy, cheap, and you can even construct one yourself if needed. 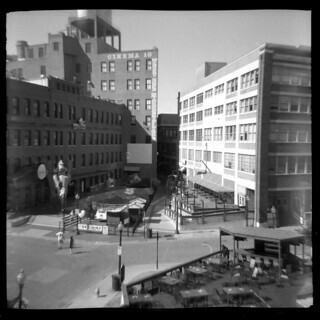 The Vivitar enlargers used a plastic negative carrier. It was a clever design with a circular ridge on top that interlocked with a ridge on the condenser housing. It provided a great fit while allowing the carrier to rotate 180 degrees. This sounded great in theory but in practice they could be hard to find and a Do-It-Yourself carrier was out of the question. And re-using carriers from other enlargers was impossible. Even the innovative light source was not without problems. The diameter of the light pipe seems to have been chosen with 35mm negatives in mind. It produced very consistent lighting in that use. But with large format negatives there could be significant light falloff at the edges. Combined with vignetting on the negative from the taking lens, it took some work to get an acceptable print. [What] I remember about the fiber-optic light source was that it did not radiate any heat and therefore would not cause negs or slides to “pop” during focus or exposure. Unfortunately, because of its relatively small diameter, it caused vignetting with medium format film. It was great for 35mm though. Two more things: Most users didn’t like that the neg and slide carriers were plastic; also, the enlargers were not a sales success. Neither were the Vivitar VHE-branded enlarging lenses. While Vivitar did not achieve the same success with their Enlargers as they did with the Series 1 lenses, they did achieve a lot of unique innovation in the field. Their work resulted in a string of patents including Patent number 4,066,356 in 1978 for an Anti-Backlash Means for Adjusting Enlargers, invented by John C. Parker (note that the last three digits of the patent are 356 – could this be the source of the Vivitar 356 Enlarger’s name? 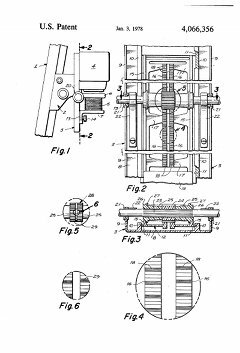 ); Patent number 4125315 in 1978 for a Light Mixing Device, invented by Michael F. Praamsma; Patent number 4129372 in 1978 for a Light Mixing Apparatus and Photographic Enlarger Emobodying Same, invented by Michael Allgeier; and Patent number 4274131 in 1979 for a Light Diffusing Means for a Photographic Enlarger, invented by Michael F. Praamsma. All of these inventions were later adapted or referenced by other companies for new technologies used in enlargers, photocopiers, and scanners. I’ll be posting more stories of Vivitar history here in the near future. If anyone reading this was a Ponder & Best or Vivitar employee and would like to share stories of the company’s history or help me in my research, please contact me. If you enjoyed hearing about this research or other research done by Camera-Wiki.org’s many editors, please consider making a small donation to help us pay for hosting and maintenance. We’re all volunteers and rely on your support to keep things going. Readers of this blog will know me as the system administrator for the Camera-Wiki.org web servers but I’m also a camera geek. 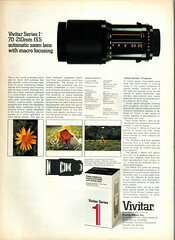 One of my interests (or maybe obsessions) is learning about the history of Ponder & Best, more commonly known as Vivitar. You can read the full story of how I got started in my personal blog; see the post: Help Preserve Vivitar History! The short version is that I found an obscure Vivitar lens and, during the process of researching it, realized how little is known about the history of Vivitar. I’ve been searching out old documents and records. I’ve also been collecting equipment. But the best source of authoritative information on the history of Ponder & Best has been talking with the people who worked there. Initially, I was just hoping to improve the Vivitar pages on Camera-Wiki.org but I’ve learned so much that I’d like to start sharing it with others through a series of posts on our blog. To start out, I’d like to introduce one of the Ponder & Best employees I’ve been communicating with. Bill Swinyard joined Ponder & Best in early 1969 and was with the company through late 1971. He started work at the P&B building on Pico Blvd. in West LA and left P&B shortly before its move to new offices in Santa Monica, CA. Bill was Brand Manager in the marketing department. His responsibilities encompassed all of the Vivitar lenses and lens accessories, then about 60% of Vivitar’s sales. He was involved in marketing research, market development, packaging, pricing, advertising, publicity, and dealer and sale force communications. After leaving P&B, Bill went on to Stanford University for a PhD and then became a professor of marketing. He has been on the faculties of the National University of Singapore, Arizona State University, Santa Clara University, and Brigham Young University. Now retired, Bill continues his lifelong interest photography and also does some very nice woodturning, two subjects you can learn more about on Bill’s website, Snap Shavings. In 1974, a couple of years after Bill left the company, the United States patent office granted P&B patent number 3,817,600 for a Zoom lens having close-up focusing mode of operation. 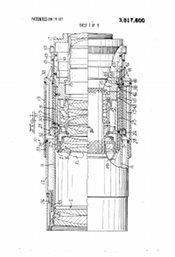 The 1972 application lists Rénzo Wantanabe (an engineer at Kino Precision in Japan) and Ellis I. Betensky of Stamford, CT as the inventors. This patent is referenced in later macro-focusing zoom lens patents by Canon, Nikon, Minolta, Sony, Carl Zeiss, Nippon Kogaku, and Robert Bosch GmbH. So next time you use a modern macro zoom lens, remember to thank the inventive folks at Ponder & Best; because every macro-zoom lens around today traces its heritage back to the Vivitar Series 1 70-210mm f/3.5 and the day Bill, Gary, and Murray wondered if a serendipitous feature on a prototype 8mm movie camera could be applied to 35mm lens design. One year ago today, I posted a status update about Camera-Wiki.org’s infrastructure and other behind-the-scenes technical stuff. Since this isn’t really camera-related, I try to keep posts about it to a minimum but I’m sure at least a few of our readers are curious what’s changed over the course of our first year. Backup Status: We have an automated nightly backup process in place. Backups of the website and wiki database are automatically created and we currently maintain one offsite copy of the nightly backup in case of catastrophic failure of the server. We’d like to add a second offsite backup location. If you can provide around 200MB of space on a server and an FTP login, please let me know! Social Media: Vox has been busy keeping our twitter feed full of interesting links and we’ve now got over 250 followers. If you don’t already, please follow us on twitter! Our Camera-Wiki Facebook page is close to 100 followers and continues to see slow steady growth. We recently created a Google Plus Camera-Wiki page. Our G+ page is just a place holder for now but should become more active in the future. Google Plus doesn’t currently allow for syndication of twitter, so there’s not much to see yet. If you’re a Google Plus user and you’d like to volunteer to post regular updates or even just repost our tweets to our G+ page, please let me know! MediaWiki Status: We successfully upgraded to MediaWiki 1.17.x in October 2011. An upgrade to MediaWiki 1.18.x is planned after we complete some category changes currently being made. Work on MediaWiki 1.19 is under way with a possible release by April of 2012. Once 1.19 is released and looks stable, we’ll upgrade to that version. We hope 1.19 will give us the ability to make further usability improvements to the article editor and flickr image posting process. You can find out what version of MediaWiki we’re running at any time by visiting the version page. Server Status: We continue to rely on Dreamhost VPS (Virtual Private Server) for our hosting, one VPS acts as a MySQL DB server and another hosts the Apache web server, MediaWiki, and WordPress software. Our resource usage is slowly climbing as Camera-Wiki’s popularity and traffic rises. We will increase our VPS resource allocation as needed to keep up but each increase brings slightly higher hosting costs. As always, the best way to help is to make a donation to the hosting fund! If everyone who uses Camera-Wiki donated just $5 or $10 per year, we’d be able to easily cover our annual hosting costs. Site Traffic: Immediately after our launch a year ago, we were receiving around 3,000 page views per day. By March of 2011, that doubled to 6,000 page views per day. Today, we’re averaging close to 18,000 page views per day. These stats are based on the Analog stats program used at Dreamhost. We’ve also started using Google analytics to get more detailed numbers. Google uses a more restrictive algorithm that ignores page views by non-human agents, such as bots, proxies and caches. GA results for February 2012 show around 150,000 page views and more than 40,000 unique visitors to Camera-Wiki! We also track our Alexa ranking and, during our first year we’ve moved steadily up the chart of most visited websites from our starting point at over 400,000 to our current rank of closer to 200,000 for US websites. Breaking 100,000 on Alexa’s US charts is a significant achievement but could happen for Camera-Wiki during 2012. That’s it for now. 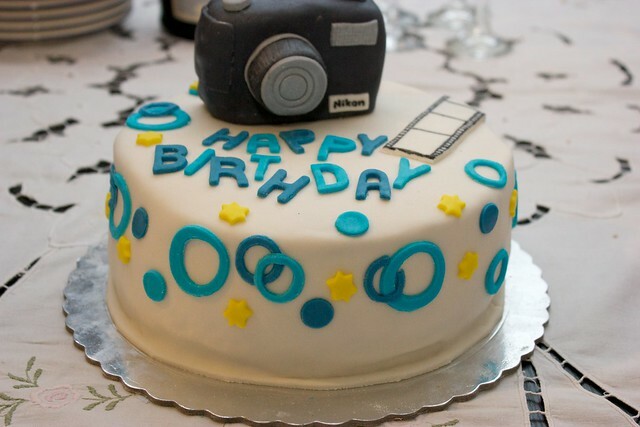 Thanks to everyone who has helped Camera-Wiki.org make it this far!